Succulents are all the rage these days! I am a plant lover and I adore adding plants into our home decor. I have an ever growing collection and over Memorial Day weekend I tried a little project to bring more green indoors. 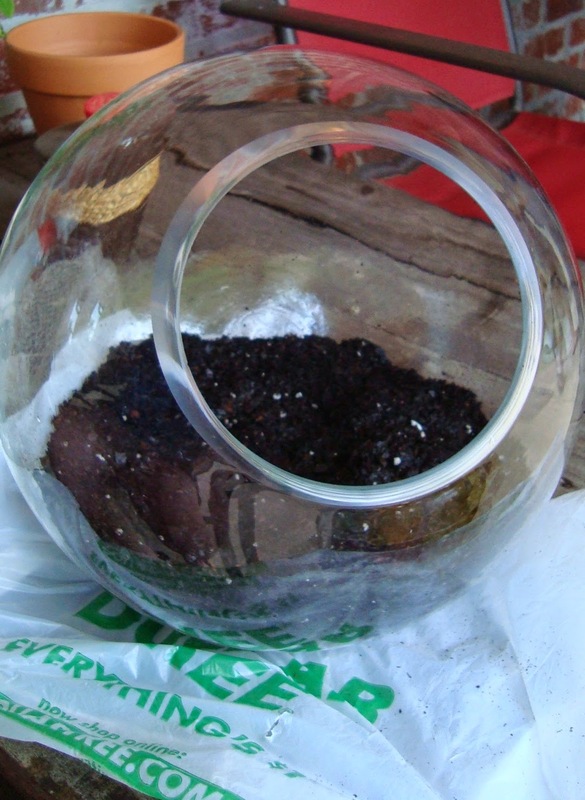 And you can join me by following these easy steps to create your own Terrarium. You'll need to start with a clear glass container. You can choose an open container like the one I snagged for only twelve dollars at TjMaxx, or you can choose a container that is enclosed or has a lid. The next step is to throughly clean and sanitize your container and river rocks. You want to be sure and kill any bacteria to avoid mold growing inside the container. You'll need to choose succulents that can grow in the same climates and container environment. I chose succulents that were all drought resistant, needed to be in a container with a drainage system and low sunlight. Now is time to move the project outdoors, it can be messy! Then layer your soil several inches deep so that you can plant the succulents. Mist the soil with a spray bottle before you plant your succulents. 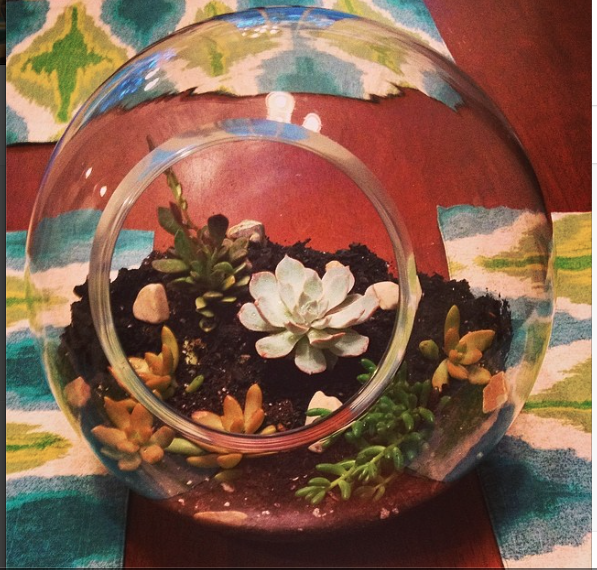 All that is left to do now is arrange your succulents inside the terrarium. I also added a few additional river rocks to add some more detail. And here is the finished product in its new home on our dining room table! I love the color and design it adds into our dining area.